To celebrate the release of Chuck Palahniuk’s first adult coloring book, BAIT: Off-Color Stories for You to Color, we partnered with Palahniuk for a something pretty unique — the BAIT Coloring Contest. We received TONS of entrants, and have picked the winners! Thanks to everyone for entering, and a very special thanks to Chuck Palahniuk for partnering with us for this contest. Third Place Prize: Fight Club 2 Poster signed by Chuck Palahniuk — Jill M., David L., Bre C.
Second Place: Severed arm collectible signed by Chuck Palahniuk — Mitchell D., Marie T., Russel K., Karenina A., Katie M., Jazmine H., Marla S., Nikki F.
First Place: Fight Club Signed Collector’s Edition HC — Max F.
First Place: Make Something Up: Stories You Can’t Unread Signed Collector’s Edition HC — Daman S.
First Place: Survivor Signed Collector’s Edition HC — Bee M.
Take a look at our winners’ entries below! We’ll be shipping out these amazing prizes soon. Thanks again to everyone who created such fantastic pieces of art for this contest. It was a real pleasure seeing those come in this past couple months. 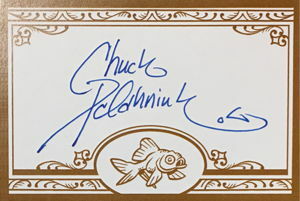 You don’t need to win the contest to get something signed by Chuck Palahniuk! 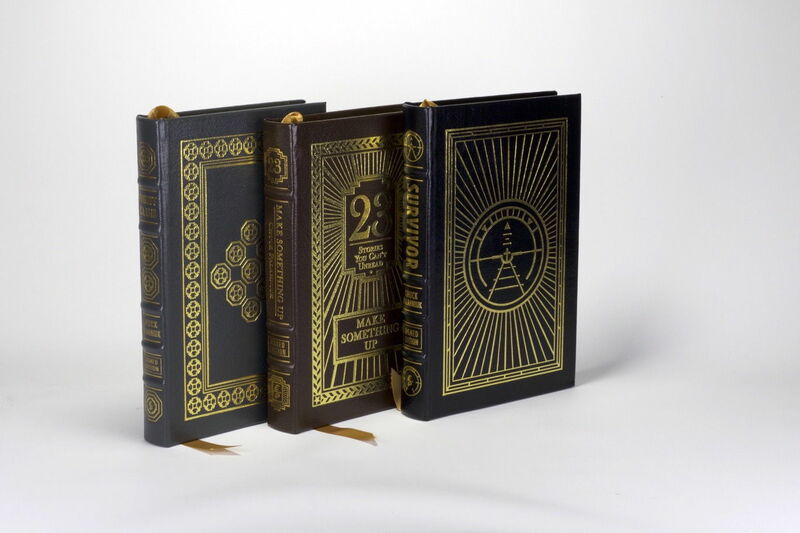 For a limited time while supplies last, we will be including special gilded bookplates that are handsigned by Palahniuk! Order your copy of BAIT as soon as possible to increase the chances that you’ll get one of these special copies. Ten years after starting Project Mayhem, he lives a mundane life. A kid, a wife. Pills to keep his destiny at bay. But it won’t last long — the wife has seen to that. He’s back where he started, but this go-round he’s got more at stake than his own life. The time has arrived to Rize or Die. The official continuation of Chuck Palahniuk’s Fight Club has been collected in two beautiful editions, the Fight Club 2 graphic novel and the Fight Club 2 Library Edition HC. Check them out at TFAW.com today! New York Times bestselling novelist Chuck Palahniuk collaborated with incredible comic book artists to create BAIT: Off-Color Stories for You to Color, a coloring book unlike any that you’ve ever seen. 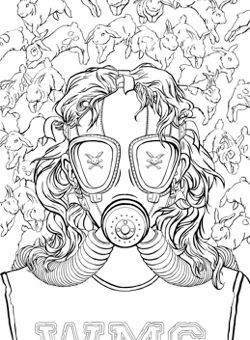 To celebrate the release of this ambitious book, we’ve partnered with Palahniuk for a special BAIT Coloring Contest that runs through December 12, 2016. We want you to take some time to unplug, express your creativity, and share your talents with the world. Visit our contest page to view contest details and learn how to enter. 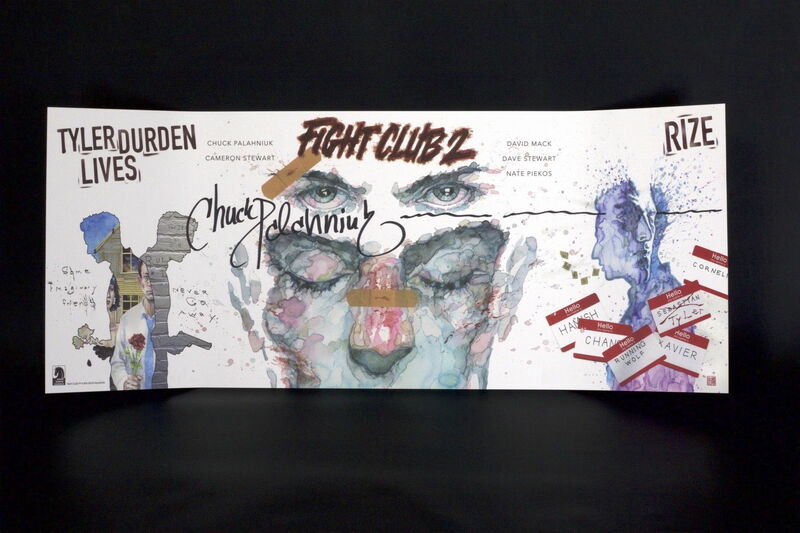 Third Place Prize (Six Winners): Fight Club 2 Poster signed by Chuck Palahniuk. 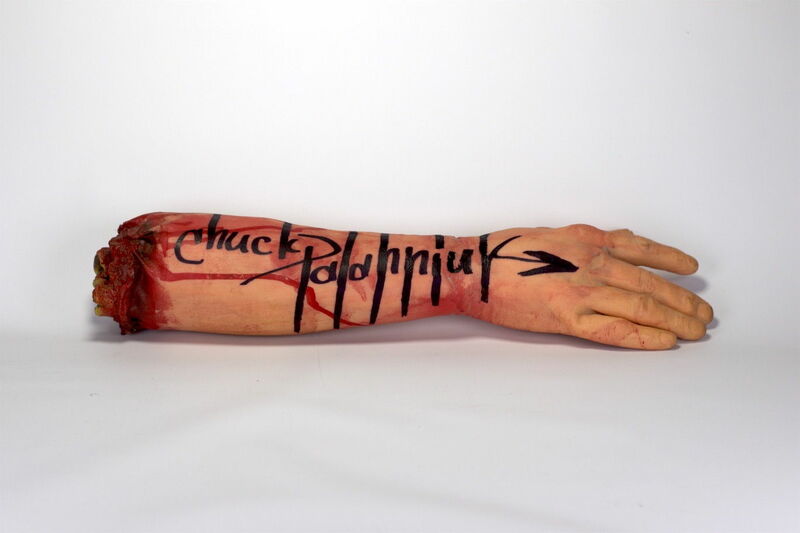 Second Place (Ten Winners): Severed arm collectible signed by Chuck Palahniuk. These are some amazing prizes, and the folks at TFAW are really jealous of the folks who will end up winning the contest. You all rock, and we can’t wait to see your art! Pathfinder fans, you’re in for a real treat in Dynamite’s upcoming six-issue Pathfinder Worldscape miniseries written by Erik Mona (Pathfinder: Hollow Mountain) and art by Jonathan Lau (Red Sonja and Cub, Miss Fury). We had the chance to chat with series writer Erik Mona about his favorite part of writing this series and where he hopes to the story. 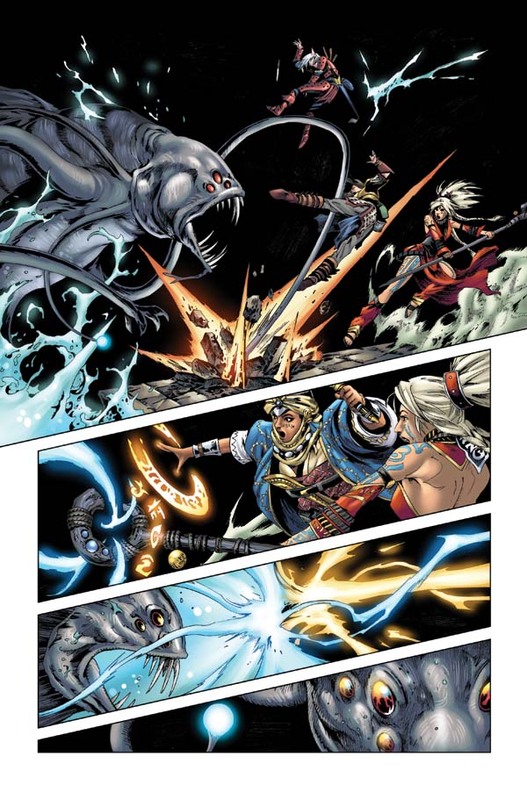 Read on for insights into the series and see how you can win a copy of Pathfinder Worldscape #1 signed by Mona and series artist Jonathan Lau! 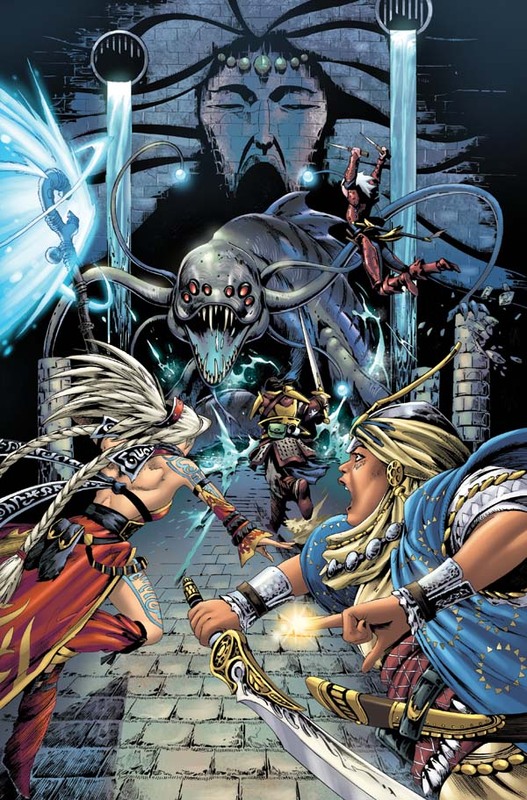 TFAW: You have plenty of awesome Pathfinder comics under your belt–dozens of adventures. Each one leads us on a new journey. What is different about this one? Erik Mona: Pathfinder comics to date have taken us into dark and deadly dungeons, into the winding streets of treacherous cities, and even into the unknown corners of our heroes’ pasts, but things really jump to the next level with Pathfinder Worldscape, which transports our heroes to an entirely different dimension — the Worldscape. The Worldscape is an ancient trap created by a long-dead wizard to gather the greatest warriors from three worlds — Pathfinder’s Golarion, John Carter’s Barsoom, and Earth, including its remote history during Red Sonja’s Hyborian Age. 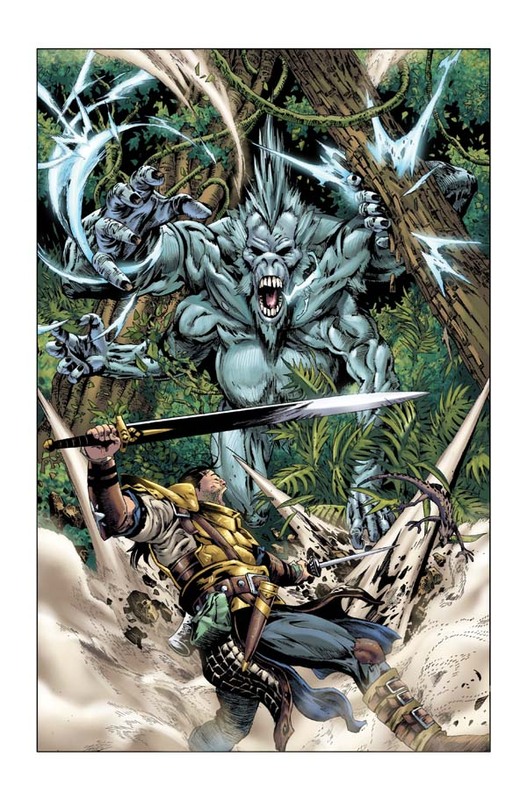 In the course of the 6-issue series, the Pathfinder heroes cross swords with the likes of Red Sonja, John Carter of Mars, Tars Tarkas, Tarzan, and the jungle heroes Thun’da and Fantomah, among many others. The character interactions are a huge highlight for me. Crossing over Pathfinder characters with heroes created by Edgar Rice Burroughs, Robert E. Howard, and Frank Frazetta — artists who inspired the fantasy roleplaying hobby that ultimately inspired Pathfinder itself — definitely counts as new and different! TFAW: With this huge cast of characters, did you find this story more difficult to manage or does it just come at ease at this point? Mona: The enormous cast of Pathfinder Worldscape presents some challenges, to be sure. You want to give everybody a chance to shine and do their thing while still having pages left over to tell an actual story. When you’re mashing together multiple properties in a dimension informed by the cultures of three different worlds (and at any time during the history of those worlds), there’s a strong temptation to over-indulge in world-building and wheel spinning about how this or that minor detail works into the overall character of the Worldscape dimension itself. My background in writing for tabletop RPGs has me thinking about all kinds of details that will never really play into the story. I’ve spent a significant amount of time thinking about the role of bullets in the Worldscape, as an example. 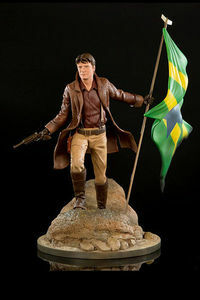 While most of the Worldscape’s inhabitants come from eras or lands that fit well with traditional sword & sorcery themes, it’s perfectly likely someone trapped in the Worldscape will encounter a World War II soldier, a pistol-toting hero of America’s high plains, or a musket-wielding, fanatical street-fighter of Revolutionary France. Assuming they appear in the Worldscape with only the ammunition they bring with them, that makes their bullets a very rare and valuable commodity. I imagined a whole barter economy based around warriors seeking out the appropriate bullets for their chosen weapons, but after spending a considerable amount of time thinking about this, I snapped back to reality and realized that details like this — while perhaps quite interesting, useful, and even necessary to support a Pathfinder RPG campaign set in the Worldscape, probably weren’t going to enter into the comic book story too much. Happily, I’m fairly certain all that world-building will come into play in Worldscape-oriented Pathfinder RPG products down the line, but right now I’m putting my full effort into the comic book. TFAW: What exciting lands/places might we see on this adventure? Mona: The Worldscape itself is as exciting as you can get, with elements literally ripped out of the worlds in conjunction with it. Frank Frazetta’s jungle hero Thun’da, for example, lives in a place called the “Dawn Land,” a sort of time-lost valley filled with cave men, dinosaurs, amazons, and weird monsters. I always thought it strange that the subtitle of Thun’da’s comic was “King of the Congo,” when so many of his adventures took place in a much more interesting (and, from today’s standards, a much less politically fraught) location. I’m far more interested in struggles against pterosaurs and shaggy cave men than I am in fights against stereotypically primitive African witch doctors, and during a thorough review of fantasy-oriented stories and characters from the jungle comics of the ’40s and ’50s, Thun’da’s stories stood out as exceptional because of the weird monsters and lost cities. Naturally, when I started constructing the Worldscape plan, I drew in not just Thun’da and his savage girlfriend Pha, but also the entirety of his Dawn Land refuge, ruined cities and all. The central location of the Worldscape series, the brutal city of Shareen, is in fact drawn from Thun’da’s early adventures. Beyond that we’ve got misty valleys stuffed with Barsoomian white apes and a cadre of trained killers, another ruined city inhabited by the simian scum of three worlds, and the jungle itself, nominally ruled by the Council of Jungle Kings and their enigmatic and elusive First King, Tarzan of the Apes. Whether traveling by foot, by thoat, or by airship, the lands of the Worldscape promise death and danger at nearly every turn. TFAW: Was this an idea that you had brewing for a while? How did this all come together? 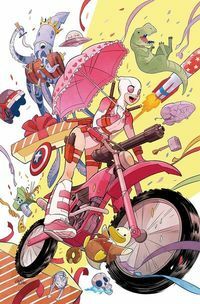 Mona: I’ve been tinkering with the Pathfinder Worldscape idea for years, since shortly after signing on to Dynamite and becoming more familiar with their roster of amazing licensed characters. So many of their heroes are based on the same fiction and characters that inspired tabletop gaming back in the early ’70s, and in particular Pathfinder has always been a gaming brand firmly in touch with its “pulp” roots. Working with characters created by Burroughs, Howard, and Frazetta…it’s just too tempting to try to put it all together and do something cool. Add to that that each issue of Pathfinder Worldscape contains a Pathfinder RPG rules appendix that provides official RPG statistics for these legendary heroes — in some cases heroes people have wanted game adaptations of literally for decades — and I had to try to put something together. At the time Dynamite had already teamed up many of their modern-day pulp heroes in their Masks comic, and Bill Willingham had just mashed a bunch of them together in a steampunk-inspired series called Legenderry. It seemed obvious to me that crossing over their awesome fantasy characters was the next logical step. In the meantime, Dynamite also launched the Swords of Sorrow series, which teamed up nearly all of their female characters, and Worldscape is the next logical progression. At a certain point I’d put so much work and thought into how to make it all happen that Dynamite offered me the chance to write the series myself, which is a huge, humbling opportunity! 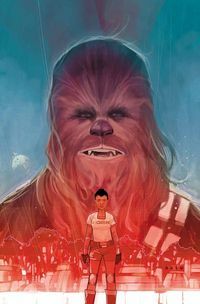 TFAW: How did the artist, Jonathan Lau, become involved with this epic adventure? Mona: Jonathan was my favorite of several artists Dynamite suggested for the project. 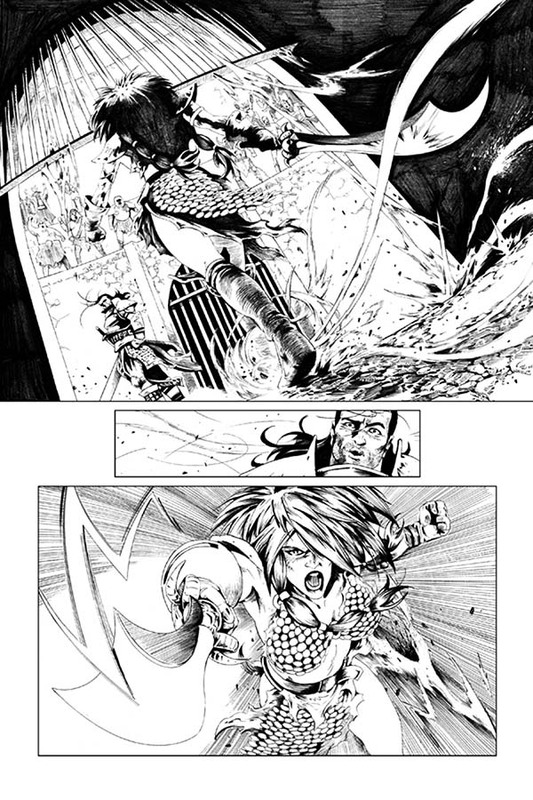 I was familiar with his work on former Pathfinder writer Jim Zub’s Red Sonja and Cub from a few years back, so I was already familiar with his visual sensibility and his strong action compositions. What I didn’t know at the time was that Jonathan has a fantastic attention to detail and an inventive spirit that fills every nook and cranny of the book with interesting things to look at. His Tars Tarkas is probably my favorite version of the character I’ve seen in comics to date, and it’s fascinating to see him adapt characters like Thun’da, Fantomah, and the immortal empress Camilla, who haven’t really been in active production since the ’40s or ’50s (barring a limited series or guest appearance here and there). I’m thrilled to be working with him on the series, and each page I get from him on the earlier issues inspires me to put even crazier characters and scenes into the later issues I’m writing now. TFAW: With such a large roster of characters, have you found that you favor one more than others? Mona: I’m honored to work on all of them, especially Red Sonja and John Carter, two titans of fantasy publishing. Oddly, the character I’m enjoying the most and the one who has become weirdly central to the plot of the whole thing is Fantomah, the beautiful, nigh-omnipotent skull-faced woman introduced by literal madman Fletcher Hanks way back in ’40’s Jungle Comics #2. I’ve been mystified by this character (and by Fletcher Hanks) ever since reading about her in the incomparable “I Shall Destroy All the Civilized Planets” collection/biography by Paul Karasik from a few years back. When Dynamite challenged me to add some public domain fantasy heroes to their already impressive roster, I immediately leapt to Fantomah, and I’ve never really looked back. Hanks portrayed Fantomah as this unstoppable force of nature capable of just about anything. Unlike staid jungle heroes of the era, it was never really clear whether Fantomah was a hero or a villain, just that you never wanted to cross her, lest she rip the skin from your flesh, turn you into some crazy plant creature, or dispatch you in whatever weird way Fletcher Hanks could concoct between bottles of whiskey. In Pathfinder RPG terms, she’s basically a god, which opened up another interesting element of philosophy for the series. Each of the three worlds involved — Earth, Barsoom, and Golarion — have very different relationships with religion, and what it means to be a god. For most of the people of Earth — certainly the more or less modern ones like Thun’da and John Carter, “God” is something to be inferred as a matter of faith. On Barsoom, religion is a fraud designed to deliver the dying to a valley where they are drained of blood by bizarre plant creatures so that their bloodless corpses can be eaten by a cannibal priesthood of Holy Therns (also, by the way, in Worldscape). Burroughs’ “The Gods of Mars,” the second of his John Carter books, is largely about that religion. Then you’ve got the Pathfinder world of Golarion, where gods are literally, indisputably present and real and divine. It’s not so much a matter of belief as it is acknowledgement of existing supernatural forces, and that gives me a lot to play with in terms of how my characters interact with the world and their predicament as captives of the Worldscape. John Carter and the cleric Kyra get a nice juicy conversation about this, but Fantomah plays an important role in this aspect of the story as well, and I’m thrilled to be able to use her! TFAW: Do you have any other projects coming up that we should know about? Mona: In addition to running Paizo’s day-to-day publishing operations, managing the creative staff, and making diabolical plans for the future of the Pathfinder Roleplaying Game, most of my focus these days is soundly on Pathfinder Worldscape. Most of the scripting is out of the way at this point, but I’m still hard at work crafting cool Pathfinder RPG rules appendices for each issue. I just finished official game statistics for Red Sonja, for example, and now I’m noodling around with Tars Tarkas, who will appear in the second issue. After that we’ve got Tarzan, Thun’da, and a whole host of others. How much damage does a radium pistol do? What’s the Strength bonus for a green Martian? I dunno, but I will know soon, and it’s really exciting to map the game designer part of my brain over the story I’ve been composing using my comics writing circuits. You can keep up with my projects and get some insight into the Pathfinder RPG adaptation process behind Worldscape by checking out my blog at erikmona.com or following me on Twitter @erikmona. Mona: Oh, man, there are so many! I went in way deep on DC’s New 52 a few years back and am working my way through a longbox of backissues of Snyder’s Batman, which has been fantastic, of course. 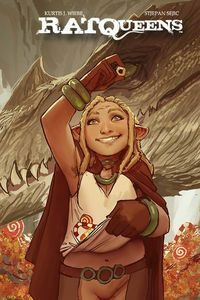 I’m always keen to follow former Pathfinder comics writer Jim Zub on whatever he’s doing, and I really like what he’s been rolling out with Wayward, as well as his new title Glitterbomb, from Image. I’m highly intrigued by DC’s Young Animal imprint. The first issue of the new Doom Patrol was fantastic, and I can’t wait to break out a copy of Cave Carson Has a Cybernetic Eye. 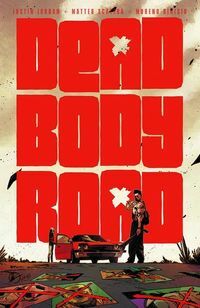 As far as comic titles go, that’s probably the best I’ve heard in a long time! We want to thank Erik for taking the time out of his busy schedule to chat with us! Make sure to order your copies of Pathfinder Worldscape. Are you looking forward to Pathfinder Worldscape? Tell us which character you’re looking forward to seeing in the Worldscape in the comments below and you’ll be in the running to get a copy of Pathfinder Worldscape #1 signed by Erik Mona and Jonathan Lau! This August we want to help you start something new – Valiant Entertainment. Valiant Comics started back in 1989 – with the boom in comics during the early ’90’s Valiant was bought by Acclaim Entertainment – a Video Game developer. In 2004 Acclaim shut down. 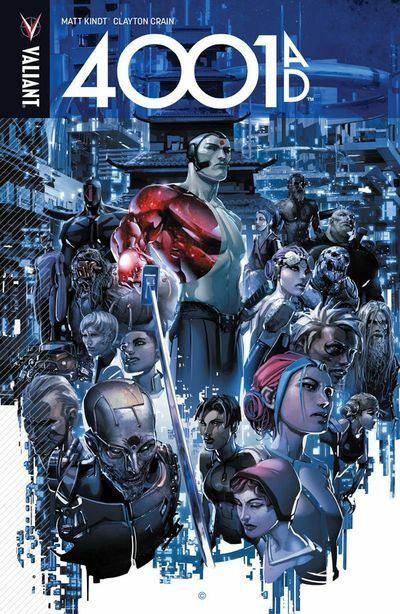 One year later Valiant Entertainment restarted and since then has gone on to create some of the most original, award-winning titles. Most recently having 50 Nominations in the 2016 Harvey Awards. Over most summers, like most superhero publishers, they have a big event. Now when I say “big event”, I’m not talking 30+ issues spanning 9 different titles. No, Valiant doesn’t play that game. When they do big events typically the main series is only 5 issues, and will only spread across a couple of their on-goings. This summer is no exception with their event – 4001 A.D. This series focuses on the future within the Rai comics. The most ambitious comics event of 2016 brings war to the 41st century – with Rai leading the charge! One hundred years from today, Father – the benevolent artificial intelligence that governs the island nation of Japan – will gain sentience. To defend its borders, Father will take drastic action by launching Japan into space…where its people will thrive in isolation, away from the overpopulated and resource-deprived planet below. One thing is that all of the Valiant characters are connected in some way. Even if they are not currently interacting or on the same team. For example, Armstrong from the Archer & Armstrong series is the middle brother of The Eternal Warrior, and Ivar, the Time Walker. 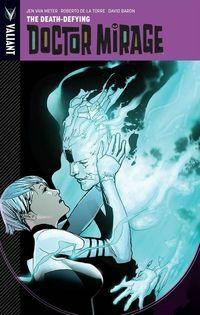 Even currently Faith (one of the best new characters in comics) and Archer are now a couple, having their first date within Archer & Armstrong #5. There are lots of connections within the Valiant Universe. 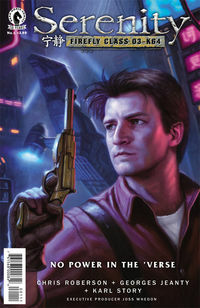 Another thing to note about this publisher is that even though they publish “superhero” comics that are all connected, their series range from vigilante-style heroes (Bloodshot) to Sci-Fi adventures (Divinity). Even those who like comedy and wacky adventures like Deadpool will get enjoyment out of Archer & Armstrong. What about a story involving a suit of armor? X-O Manowar – After a brutal encounter with a mysterious enemy known as The Vine leaves him a prisoner on an alien world, the only hope Aric has of returning to his family and saving them from slavery is to seize armored suit capable of incalculable destruction and become X-O Manowar! The Vine destroyed Aric’s world. Now he will give them war. These and many, many more stories are being released every month. With vol 1 trades starting at $9.99 they’re easy to jump on and get hooked. Amazing creators like Matt Kindt, Jody Houser, Jeff Lemire, Jen Van Meter, Clayton Crain & so many more contribute to these characters. 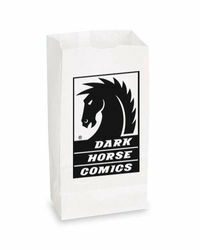 This Summer, take a chance, read a Valiant Entertainment title! Still unsure if Valiant Entertainment is right for you? Come on by and ask us what would be up your ally based on your current reads. Valiant has something for everyone. The classic horror movie poster was enough for me to pick this up. After reading it I’m gonna have to keep picking it up. It’s too crazy to describe… If you like B-movie horror and dark comedy then this is some sweet reading. Image has been killing it lately. 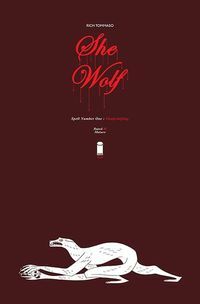 Be sure to check out other new Image Comics series to discover other great books like She Wolf. I’m very pleased with my last order, and with this book in particular–the story and artwork were awesome. The service and shipping time was right on time. We will continue with TFAW for a long time. Thank you B. Detherage. This series is off to a great start. I enjoyed the introduction of this character in the pages of Howard the Duck and it’s great that she’s got her own book now. Plus, I really like Chris Hastings’ writing style. David’s review for Walt Kelly Pogo Compendium HC Vol. 3. Kate’s review for the Art of Alice: Madness Returns HC. Manny’s review for Hellboy and the B.P.R.D. : 1953 – Beyond the Fences #3. See other Hellboy and the B.P.R.D. : 1953 comics. 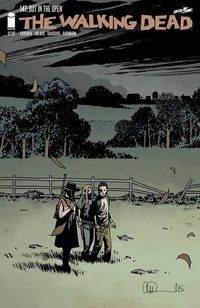 Allyson’s review for Lazarus TPB Vol. 1. See other Lazarus comics & graphic nofels. 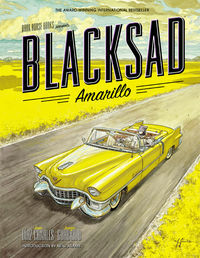 Jaunjo’s art alone makes everything Blacksad a must-have. This story is less fulfilling than previous Blacksad outings, but still a good, quick read – assuming you’re not pouring over every inch of the art with a fine toothed comb. We agree with Joe. We’re kind of jealous of those of you who haven’t discovered Blacksad yet. That means you get to read these incredible books for the first time! Savor every panel, folks. 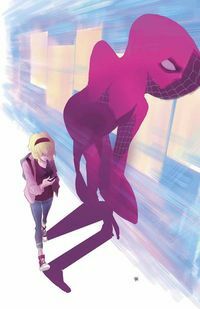 My girl Gwen Stacy–whom I love–in her own series. The art is great and this issue introduces Sam Wilson as Captain America and everything is beautiful. After hearing so many people rant and rave about this, and with the Dark Knight III coming out, I had to finally pick this up and give it a read. The book is around 200 pages. I call it a book, because in today’s era, it does not read like a comic book. It’s very slow and drawn out. Now, I have not yet finished reading the entire “book” but I’m around 60-pages in (in Book Two) and had to stop and give my opinion. This is very outdated. It’s drawn out, long, and could really be consolidated a lot. Perhaps that’s why a lot of people love it, it’s a classic. It’s written in a very old-fashion. The entire “news” sections with the reporters and doctors and Gordon and everyone going back and forth is utterly annoying and half the time, not necessary. I find this to be not what I was hoping for. 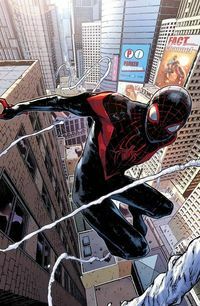 However, I’m still going to push through it just so I can finally read it, but I’m someone who would not recommend this to anyone that is first getting into comics, enjoys a lot of action, or someone that gets bored easily. 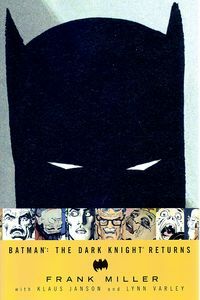 Instead, pick up Court of Owls or something more recent. Eddy’s review for Vampire Hunter D Vol. 5 – nick & dent. See other Vampire Hunter D books. Michael’s review for the Holiday Dancing Baby Groot POP! Vinyl. See other great POP! Vinyl Figures. Kenny’s review for DC Comics Designer Series 3 Greg Capullo Zero Year Batman Action Figure. See other DC Comics Designer Series Figures & Statues. This holiday season, TFAW is making it easy to get exactly what you want with our Win Your Wish List Contest! 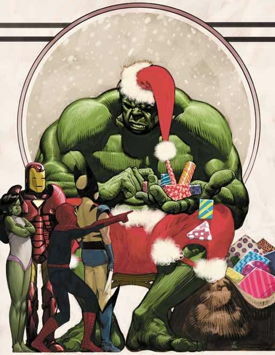 Have you been good all year? Want to help your friends and family figure out what you want for Christmas? TFAW is here to help. No matter what you’re into, we’ve got just the thing for your collection, and we hope that collection will get bigger this holiday season. 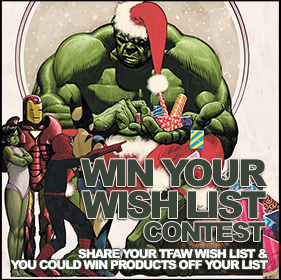 When you share your TFAW Wish List with friends and family this holiday season, you’ll be in the running to win a $100 gift certificate to purchase products on your Wish List at TFAW.com after the holidays! Good luck to everybody! Thanks for participating in our contest this year.